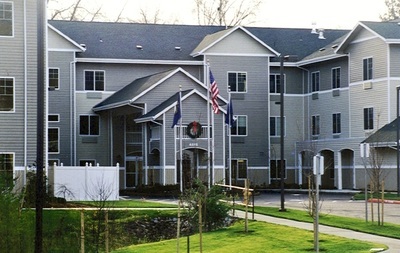 Completed in 2001, this 90 unit assisted living facility includes 21 beds for Alzheimer patients. 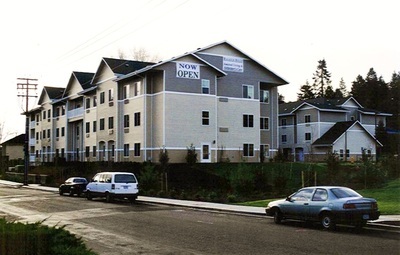 The design was compressed on the site to provide for future road re-alignment around the Beaverton-Hillsdale/Scholls Ferry/Oleson Road intersection. A sub-grade, post-tensioned parking garage provides needed parking, while helping to compensate for the over-excavation needed in soft soils over an old drainage swale.